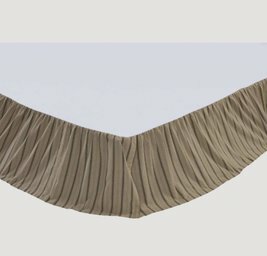 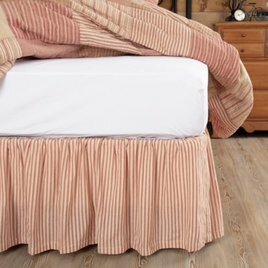 Add a classic touch with the ALL NEW Sawyer Mill Blue Ticking Stripe King Bed Skirt. 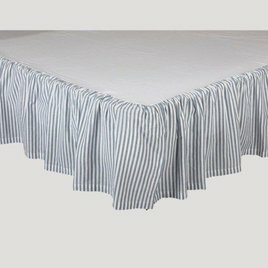 Available in 3 sizes: Twin, Queen and King it features repeating, denim blue ticking stripes woven into soft white cotton base. 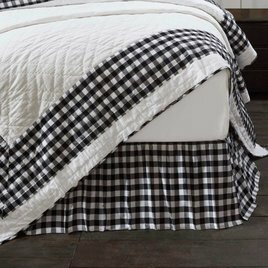 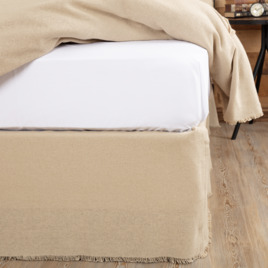 The Grace Bedskirt coordinates with the Grace Bedding Collection. 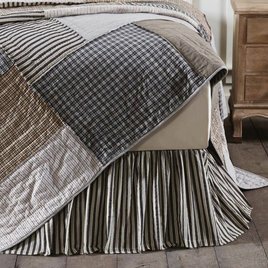 You'll love the fresh & eccentric combination of variously sized patterns & patches. 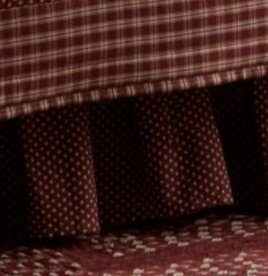 Elegant enlarged ticking stripes, a country farmhouse staple, are spaced among checks & windowpanes. 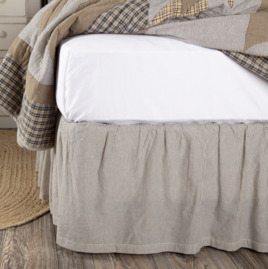 Add a classic farmhouse, vintage look with the Dakota Star Farmhouse Blue Ticking Stripe Bed Skirt. 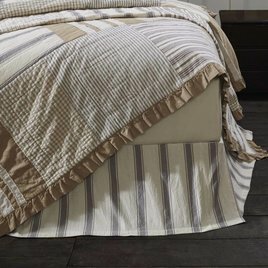 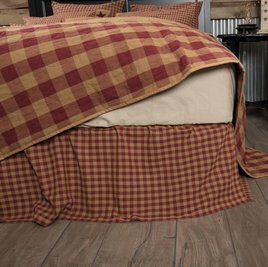 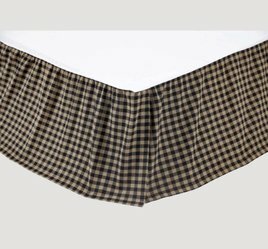 Features vintage colored ticking stripes, adding a country, rustic look to the quality, pure cotton material.